While very different topics, environmental degradation, financial crises, cyber-attacks and social instability both within and in between countries have all been identified as risks for OECD countries and indeed, the whole world. Their global nature means that all of these risks require a co-ordinated international response. Education has a key role to play: as a preventative tool, it can be used to raise awareness as well as shape the attitudes and responsible behaviours of a generation of conscious global citizens. Education can also mitigate the effects of risks by equipping students with the knowledge and skills needed to cope with crises as they emerge, building their resilience in the process. Education can prepare the future workforce with the skills required to address emerging risks. Whether it is in the fields of green energy, sustainable food production or clean water technology, there is a call for stronger STEM skills for students and more training in these innovative fields as one of the best ways to respond to environmental risk. Similarly, technological risks such as cyber-attacks and cyber-espionage have created a huge demand for cyber security professionals and even "ethical hackers" as a way to improve cyber safety. These emerging fields of work will be built on new frontiers of research and innovation, and all will require new skills and competencies. Education can be a catalyst for changing knowledge, attitude and behaviour. For example, better educated people are more likely to be concerned about the environment and to promote political decisions that protect it. "Green schools” can be used to model what sustainability means in a daily context as they are designed to minimise energy, water, and waste. Environmental issues can be integrated across the curriculum and are a powerful tool for raising awareness. Education can reduce the impact of risk and crises. While not the main cause of the latest global financial crisis, a lack of financial literacy might have deepened its effects: Less financially literate individuals are more likely to have costly mortgages and engage in credit card spending, and less likely to hold precautionary savings and undertake retirement planning. The latest PISA results reveal that 22% of students do not have basic financial skills across OECD countries. Financial education can foster greater understanding of financial processes, products and services and might be a key to preventing future shocks from extending and worsening. Education can protect and prevent young people from engaging in risky behaviour. Cyber “hygiene” education seeks to provide youth with the tools to better handle technological risks such as fraud, identity theft, online predators and cyberbullying. It is an increasing part of the curriculum in countries such as the Netherlands, the UK or Japan. Similarly, both formal and informal education can help counter the risks of radicalisation and extremism, two very current concerns for countries across the OECD. By supporting social cohesion, fostering intercultural understanding and dialogue, and developing social and emotional skills, education can help protect youth at risk from recruiters who seek to attract them to their cause. In our fast-paced modern world, it might be a comfort to know that some things remain the same. Basic literacy and numeracy are still important, for participation in society and as the basis for critical thinking and problem solving. These skills in turn allow us to better manage change and uncertainty. 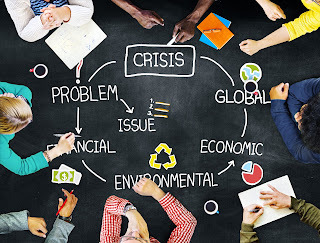 Perhaps one of the most important roles that education can play is to foster the capacity to deal flexibly with change and manage unanticipated and interconnected crises. Managing volatile situations well lessens the chance of global contagion of risk. We can't entirely prevent the next outbreak of a communicable disease, a cyber-attack or another bank crashing. But we can continue to equip our citizens with the tools they need to protect themselves, and we can continue to support innovative solutions to minimise these risks. Any challenge is also an opportunity. The biggest contribution education can make it is to help develop the capacity and skills to build a safer future for all.